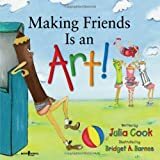 Inside: Help your kids be a good friend to their classmates, teammates and other kids around them as they learn what real friendship means. As I pulled around in the carpool line, I saw my daughter with her arms wrapped in a hug around her best friend. They stood up together, and my daughter’s arms stayed firmly wrapped around her friend, whose head was hanging down. The mean words had stung. The exclusion probably stung more. And this sweet little six-year-old was beside herself. And through it all, my daughter was right there by her side. 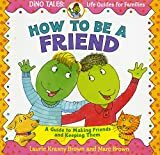 When I asked my daughter how she handled this tricky friend situation she recounted how she had comforted her friend first to see if she was okay. And then she turned to her other friend and told her she was being unkind and needed to stop it. My daughter announced that everyone can play. And when that didn’t work, my daughter went and got an adult for help. Then she came back to hug and love on her friend until I picked them up. My daughter had stood up to one of her friends on behalf of another friend. That afternoon, my daughter proved she knew what it meant to be a good friend. But it has taken a lot of work. We talk about what it means to be a good friend almost daily with these kindness and friendship Discussion Starters and a Skittles Game. And we read kindness and friendship books. And we praise good friend behaviors whenever we see it. But what makes a good friend? 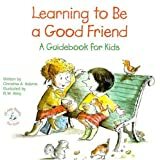 How can kids make friends and keep friends? 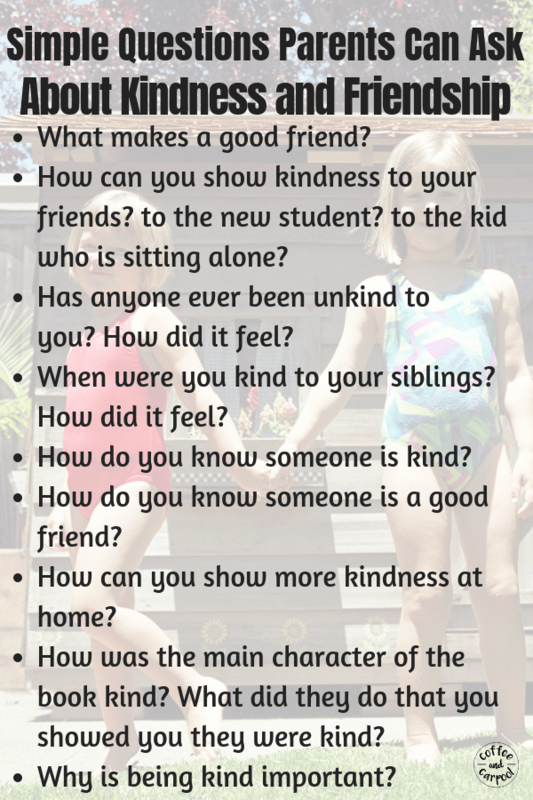 And how do we purposefully teach and encourage our kids to be a good friend? Friends are crucial to our social development and our mental health and science has proven that friends are good for our health. When we feel included in a group or in a best friend pair, we feel connected. We feel empowered. And friends help shape who we are, who we become, and how we feel about ourselves. Good friends lift us up when we’re low and help us when we need it most. Friends help bully-proof us by providing us with a physical and emotional barrier from bullies. And friends give us a sense of belonging. But there’s a big difference between being friendly and being a good friend. Being friendly is smiling and saying “hello” as you pass in the hall, and offering your scissors to a classmate who doesn’t have any. But a good friend is something much deeper than that and far more important. And it’s crucial we teach our kids how to be a good friend so they find other like-minded kids who will be a good friend to them. Because one day, our kids will be the kid who is teased. They’ll be the kid who falls down. They’ll be the kid who forgot their lunch at home. And our kids will need their good friends to stand up for them and help them to the nurse and be with them as they stand in the cafeteria line and explain their predicament. Good friends can mentally, emotionally and physically save us. Everyone has a different definition of what makes a good friend or a true friend. But to help our kids be a good a friend, we talk about friendship. We point out when people are being a good friend in a book, in a TV show or movie and in real life. Good friends follow this ancient rule because it’s kindness rolled into a sentence. 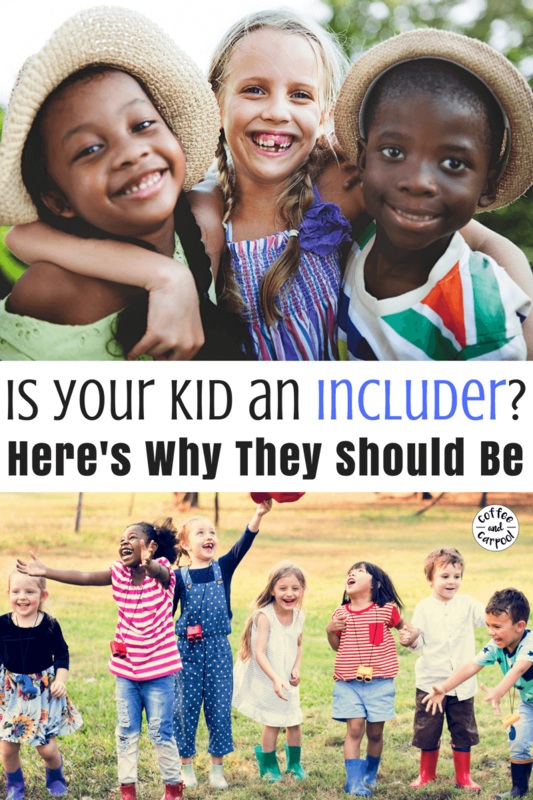 The kid-friendly version of the Golden Rule is: Treat other people the way you want to be treated. If you don’t want to be teased, don’t tease others. If you don’t want to be excluded, don’t exclude others. If you don’t want to be ignored, don’t ignore others. If you want someone to invite you to join them, invite others to join you. If you want a friend to help you, help others. If you want someone to listen to what you’re saying, listen to other people. Kind people follow the Golden Rule, and those are my kinda people. I had my fair share of these “fair weather” or fake friends in high school. These are the kids who are your friends only when it’s in their best interest. But as soon as they don’t need you or something or someone better comes around, they leave you behind. Alone. We can teach our kids that they can be a friend who is always a friend. Real friends don’t need to play with each other all the time or hang out all the time, but when real friends are apart, they’re still friends. So good friends avoid the statement “I’m not going to be your friend anymore” and they don’t speak poorly of friends behind their backs. 3. They know they can be mad at a friend without being mean. Friends bicker, get into arguments, and get mad at each other. But we need to help our kids realize they can be mad without being mean. They can say, “I’m mad” or “You hurt my feelings” without retaliating or causing pain or saying things they’ll regret later. 4. They include and invite others to join them. Including other kids or inviting them to join in playtime is one of the kindest acts kids can do for others. Kids who take the time to stop, look around, and realize there’s a classmate sitting by themselves or playing by themselves and then invites that kid to play or sit with a group are includers. Even if we have a best friend or a group of friends, our true kindness shows through when we don’t exclude others. Accidental exclusion often happens in social situations when we happily (and cluelessy) enjoy ourselves while someone else is left out and lonely a few feet away from us. Kids, even kind kids, are often clueless about how someone else is feeling. So they happily talk about the best playdate they’ve ever had with Sarah in front of Jenny. Or they rattle on about the birthday party they’re invited to in front of kids who were not invited. We can’t all be invited to every birthday party. We can’t all be invited to playdates. But we don’t need to talk about them in front of people who weren’t there or aren’t invited. We are considerate of other people’s feelings when we stop before we speak and think, will this hurt their feelings? Growing up, kids will accidentally hurt their friends’ feelings. But good friends actively try to avoid it. Listening to friends and hearing what they have to say is an important part of friendship. 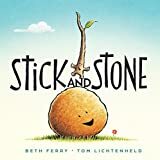 And if a friend says, “I don’t want to play this game anymore,” our kids need to learn to compromise, take turns deciding, or know that it’s okay to play a part for a little while. But if a friend -or anyone for that matter- says “stop” or “no,” our kids know to respect their wishes. Anyone who doesn’t listen to those words isn’t a good friend. Or a safe friend. And kids have to feel safe around their friends. If they’re screwing around, or playfully teasing, or tickling, or chasing, or being silly, and a friend requests that it stops, it stops. No matter what. Kids who genuinely care about others will help when needed. If they see a friend struggling, they help. If a friend drops something, they stop to pick it up with them. If a friend doesn’t have an umbrella in the pouring rain, they share. 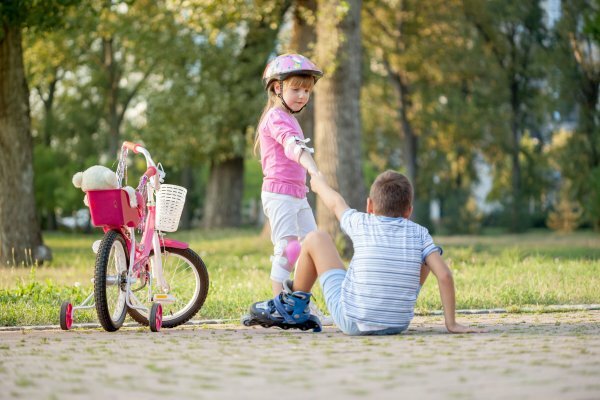 Kids who are helpers and help without being asked are good friends others want to have around. Just like my daughter did on the playground, friends stand up for each other. Sometimes they have to stand up to a friend. Sometimes they have to stand up to a bully or a kid who’s just being mean. But this is how we bully-proof our kids. We give them a circle of safety. A friend to stand by their side. A stronger voice who has the confidence to speak up when someone else’s voice feels weakened. Because all it takes is one. One kid to say, “No. Stop. You can’t treat her that way” and the bully loses their power. True friends are allies, protectors and shields. 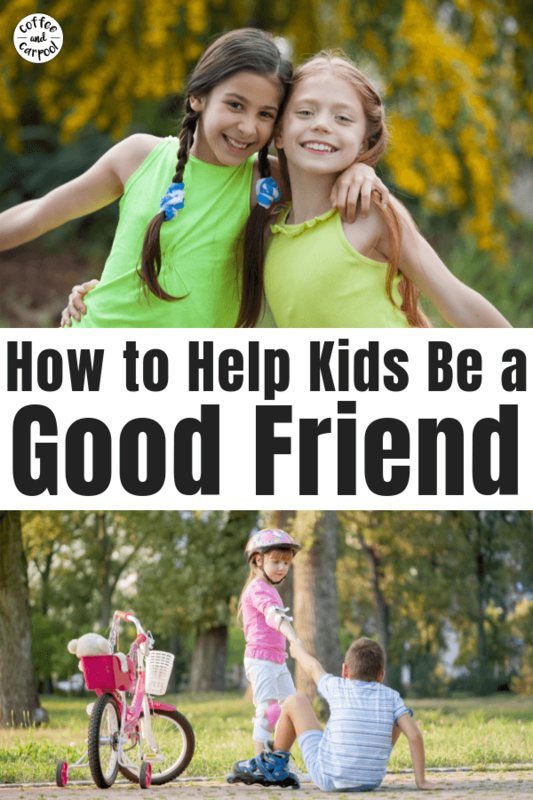 Kids who are good friends are thoughtful and generous towards their friends. They draw each other pictures, save a seat for each other on the bus, and bring treasures back from family vacations. These small gifts represent the fact that they took the time to think of their friend. Their friend was on their mind even if they weren’t able to be together. Out of sight, out of mind, does not apply to good friends. My daughter is currently wearing half of a BFF necklace she gave to her bestie she bought on a family vacation, and they both cherish it. Especially since they don’t live in the same state anymore. Because that necklace represents their friendship in a meaningful and thoughtful way. Good friends root for each other’s successes and are genuinely happy when their friends succeed or do well. If a friend finally makes it across the monkey bars, cheers should ensue. When a friend on an opposing team does well, a “good shot” or “nice hit” is in order. And if a friend gets the part in the play that you really wanted, we can be happy for them even though we’re sad for us. Likewise, a good friend also cheers up friends when they don’t succeed or are sad. When a friend is sad, we offer hugs and words of encouragement or we grab a tissue. Good friends are our cheerleaders. They are our comfort on our very bad, no good, horrible days. Good friends are the ones who can be mad at you, but still be kind to you. And they’re the ones who hug you when you’re sad… all the way to the car.